Ole Gunnar Solskjaer's debut as a caretaker coach brings Manchester United a 5-2 victory against Cardiff City in the English Premier League's Sunday fixture. 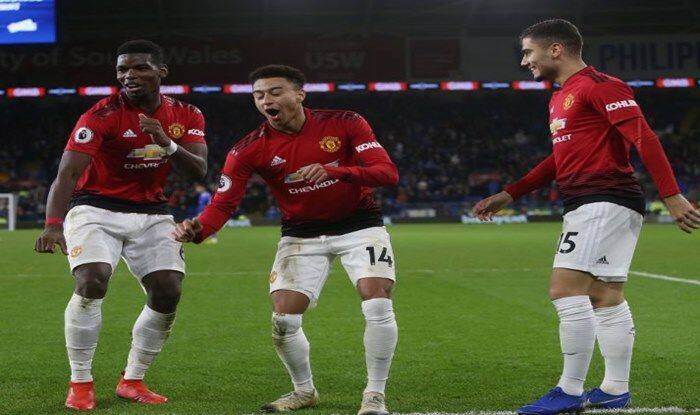 Premier League 2018-19: Ole Gunnar Solskjaer’s debut as a caretaker coach brings Manchester United a 5-2 victory against Cardiff City in the English Premier League’s Sunday fixture. A Marcus Rashford free-kick got United off to the perfect start during the match on Saturday, before Ander Herrera’s 30-yard deflected thunderbolt doubled the Reds lead. Victor Camarasa pulled a goal back from the penalty spot after Rashford handled the ball in the box before Martial made it 3-1 before the interval. Jesse Lingard added a fourth from the spot early in the second half, before scoring the fifth in the stoppage time. Solskjaer, who succeeded Jose Mourinho on Wednesday, was sacked as Cardiff City manager in 2014 after a disappointing spell, which included relegation from the Premier League.